Born in 1949 in Yerevan. He studied at the Tchaikovsky Central Special Music School at the Yerevan State Conservatory and the Central Music School under the Tchaikovsky Moscow State Conservatory (Class of Honoured Teacher of the RSFSR Elena Hoven). In 1973 he graduated at the Tchaikovsky Moscow State Conservatory (Class of Bella Davidovich). From 1973 to 1976, he worked as an accompanist at the Moscow State Conservatory. In 1978 he completed the Post-Graduate Studies at the Gnesin State Music and Pedagogical Institute (Director - Alexander Ioheles). The Laureate of Van Cliburn International Competition (USA, 1977). 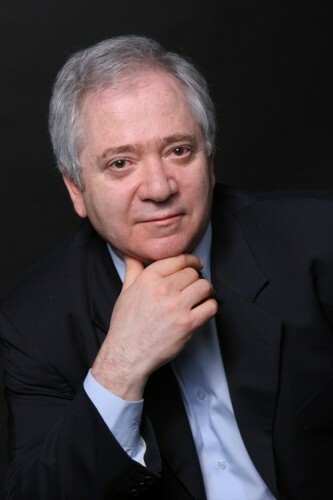 Alexander Mndoyants began teaching career in 1979 at the Central Music School under the Moscow State Conservatory. Since 1991, he teaches at the Moscow State Conservatory, in 1988 became a Lecturer, and in 2004 - Professor. Since 2007 he is a professor in the Department of special piano under leadership of Professor Mikhail Voskresensky. From 2002 to 2011 he taught at the Maimonides State Classical Academy. Since 1989, Alexander Mndoyants participates in music workshops, holds master classes in Russia and abroad. According to the famous pianist, People's Artist of the USSR Yakov Flier, Alexander Mndoyants is "exceptionally gifted pianist and musician. Its performing draws with real depth, seriousness and great mastery with piano. Nothing is frivolous and artificial. Mndoyants perfectly pefroms major monumental forms as well as piano miniatures. And one more quality ... - his high intelligence and impeccable taste" (Moscow Conservatory Archive).